I agree that he probably has something with the water,but the rest,....reflective rocks and flukes, most likely. Well this is truly fascinating stuff alright.... in many ways consistent with recent findings of a "cosmic origin" shoved into the bag tagged "miniature". Do we have history at our fingertips? I laugh because I think these color Curiosity shots are possibly "full" of these little fellas! So now we know what to look for.... time to get the Visine out. The image below tagged: "Fower"
Here's the recent find along this rocky bank. Btw, does anyone have the NASA raw image file URL for this sol? Just got this off the net today from Gigapan http://gigapan.com/galleries/13375/gigapans so tampering seems very low. Three magnifications below going in. Take a closer look at this image below again. Notice that the .jpeg compression has cut the little guy almost in half so his/her "legs: are somewhat "disconnected below". 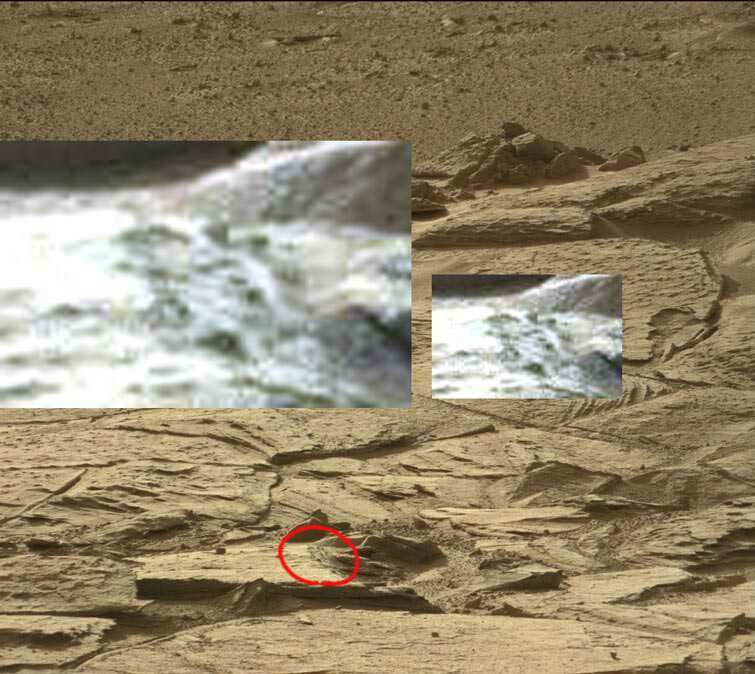 This confirms for me, my suspicions I had when that so called "jelly doughnut" rock appeared then disappeared. I think we can expect many more of these mischievous tricksters to turn up in the very near future. Pretty sure that those are Curiosity's reflection, well reasonably sure, but the first is Curiosity's camera turrent being reflected back, (grays have slanted or teardrop eyes). 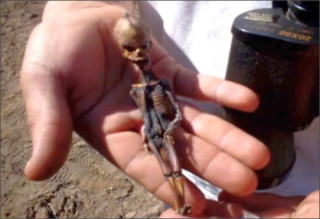 And the alien according to Stephen Greer, all attempts to discearn the DNA of the object, have been botched, so as usual we have no hard evidence, it can be dismissed as an aborted fetus, and the masses can go back to sleep. Sure they could be on Mars, but all of the aliens sniffing about the rover, l have found are white, some with striped necks, and all with black teardrop eyes. I have certainly learned from posting the UFO, Apollo proof, elsewhere that stupid has no limits, as does stupid people attacking, and stupid/scared forget it, that is getting into bullet in the head territory. Perhaps a little off topic but here'e a copy of Dr Greer's most recent response to Nolan et al I thought an interesting read. I'm keeping a eye on his pressure from this point. Yep, thanks l am on his mailing list, and have kept up with his latest developments. 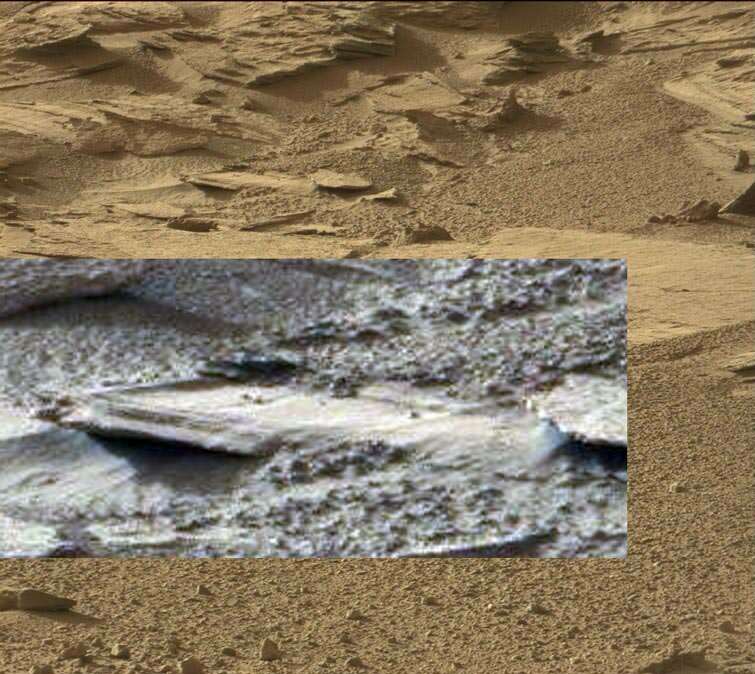 This is about the best l could find on Google Mars. These show green to lime green, or shrubs or tree's. This seems to show artwork, or a depiction of a native martian animal, (the dark area around this is a bit too perfect for it to be natural). White bear or Yetti, your guess is as good as mine? 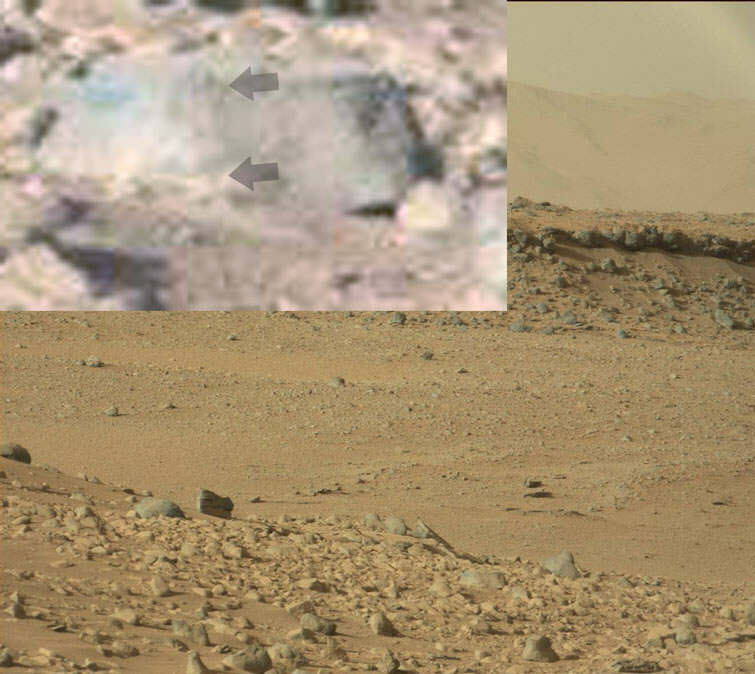 Ok, l spotted a river and road, and more tree,s and probably one of the best looks at the real Mars landscape in this rock. 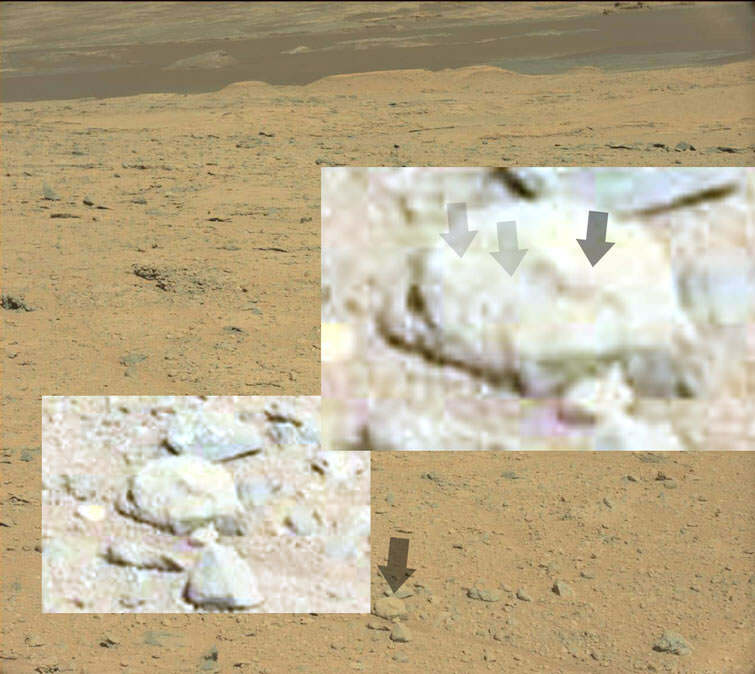 NASA has blurred most of this stuff growing on the rocks, but left the top/right one. 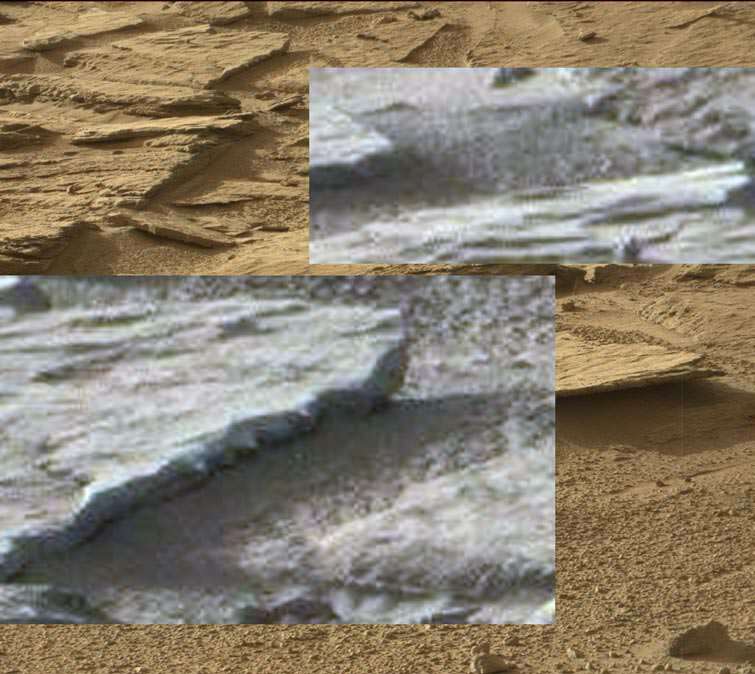 The top image shows one, but natch, blurred again, and this entire area, shows patches of grass green to lime. This one, phew, it looks like a door, but l cannot be sure. Ok, watched this great video. Good to know that l am not the only one that is p***ed at NASA. The interesting thing about this is the amateur images of Mars, and the so called high res, images of Mars from Hubble which are unfortunately the dead world BS, Photoshop got a workout ones. The Great Lakes up the top, with the unmarketable dark blue color are clearly seen, as is the likely lake lower down. The dark areas in the middle of vast green patches, was to my surprize not water but very strong green, (most likely a dense rainforest). If Mars has vegetation, and rain then it is sure to have water tables, not huge areas of ocean like we have but vast lake systems, which may be fresh water considering the vegetation surrounding them. Here's an anaglyph of the region discussed earlier showing the culprit anomaly in both left and right mast cams. 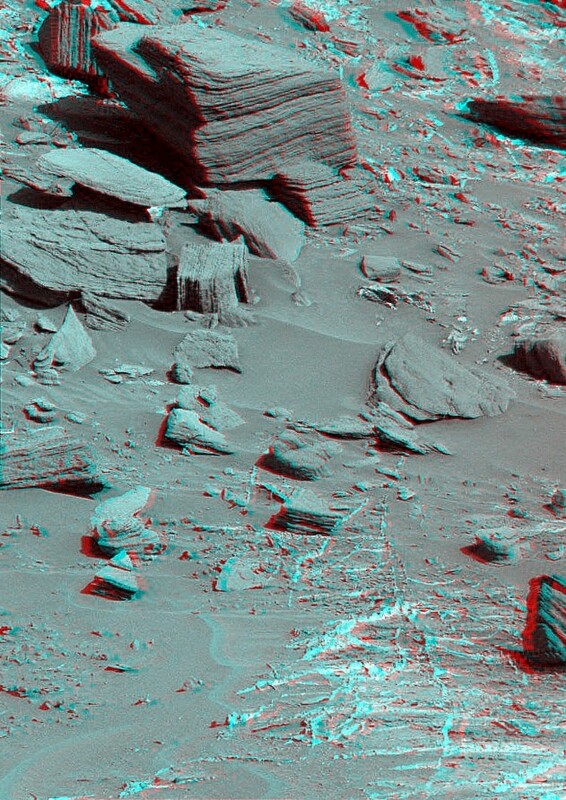 Due to the lousy compression artifacts on the left mast camera, it makes for interesting 3D....but inconclusive. 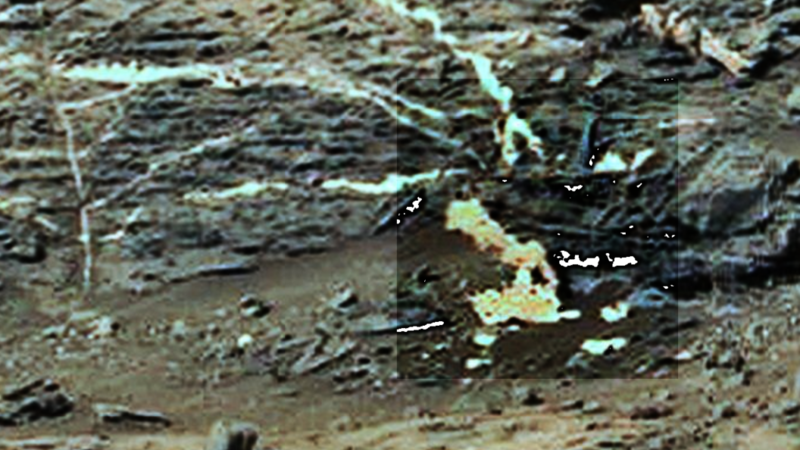 Some suggest that the staining brine streaks are from water so its got a small water table in places but its mostly deeper than what we would see here on Earth due to mars gravity. Yes, live dead nuts center over a water table here in Malibu Canyon, California. Makes for an an interesting ride when Gaia decides to shudder, all manner of things surface? In the presence of what appears to be silica or marbling, could those eruptions be perhaps precious metal of sorts? And for those whose heartbeat chimes to a more esoteric note, if you can grasp the center "piece" in the image below, then you have the gift. The sun is still setting. Yellow sun, green landscape and blue sky, oh sorry blue, pink sky. And no, blue landscape or sun to be found. If Mars has a conventional sunrise, then it has a conventional sunset! I still find it, pretty funny that adults can still believe, (believe what NASA coughs up) that Mars has an all blue sunset and not sunrise, and still buy this "we have trouble getting the red spectrum right on Mars" crap. Russia had no probs, on Venus, with melting lead and crushing a tin can pressures. And no other probe, (including Titan) that has visited Any of our planets or flown by them has Ever had a color issue. Only Mars jinkses the color cameras. well, the planet is obviously overun with Kermit the frog's l am sure that the NASA huggers will accept that with open arms? This is a great example of the sort of nonsense we are getting from NASA. 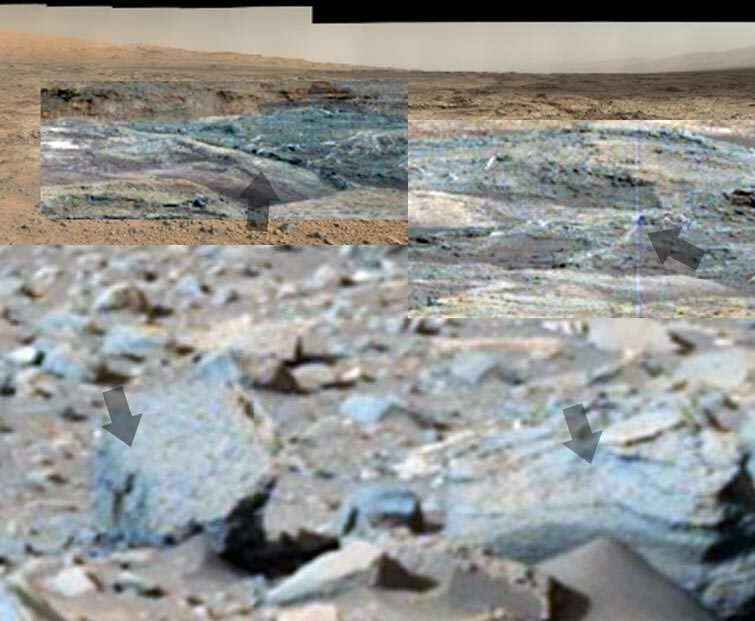 Mars obviously has a blue haze or atmosphere, but NASA keeps crapping on about it not having one or it is thin??? And all images apart from the animation, is no atmosphere BS images from afar and on the ground. Maybe we should fire all of these NASA idiots and put some 12 year old's in charge, at least they are rational, and not nutters with serious mental health issues. I don't buy it and he doesn't explain all of the green stuff, and the huge volumes of methane? Water drops Cannot form on a planet with supposedly 30,000 feet air pressure, unless the rover sprayed salt about? 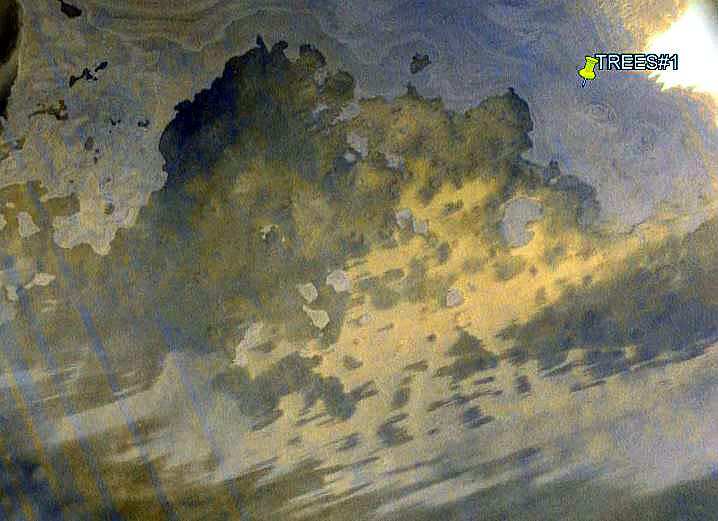 Mars atmosphere is saturated with water vapor, that cannot exist on the surface unless it is very salty. Which also strongly supports rain. here is a high light. THE 1% ATMOSPHERE First, we know ICE and weather exist on the planet. If the atmosphere is actually 1% that of earth, any ice would have boiled away or just evaporated. Water BOILS AWAY at room temperature well before reaching .01 atmosphere (1 %.) For all practical purposes, .01 atmospheres is a VACUUM to water's boiling point and to air-breathing life-forms. Here is a direct quote from a paper  written about the atmospheric pressure as measured by the Viking Landers: "The day to day atmospheric pressure variability, low in summer and higher in fall and winter, (especially at the northern site), is due to weather "fronts" quite similar to those on Earth Along with the annual cycle, meteorological fronts are indicated by the increasing variability of the pressure between fall and spring at these northern hemisphere sites as previously mentioned. The Lander 2, VL2, site is similar in latitude to Seattle, Paris or Vienna, while the southern, VL1 site, like Pathfinder, is similar in latitude to Hong Kong, Havana or Calcutta. Like on Earth, the frontal activity is less in the tropics and sub-tropics, e.g., the VL1 site. Typically, the fronts pass every few sols (mars days) on Mars, often resembling those of Earth except for the lack of rain, while at other times, they are far more regular." Note the author's statement above, that planet has weather fronts like that of earth, except it doesn't rain. But a 1% atmosphere which is essentially a vacuum - having weather? How can the planet have weather without an atmosphere? It seems that amateur astronomers get it right more than NASA and their stuff. Or they are color blind? Also took a closer look at the only real high res, mars image we have, the NASA one shows no color from Hubble, which is pretty funny. This shows dark and light blue, so obviously these lake systems are very deep. But so called red dust makes the blue color doesn't explain NASA dumb no blue around the edges images, or the green stuff. NASA is already trying to wriggle their way out of the methane one, with some high altitude red dust nonsense, eventhough plant life or volcanism are the two most likely ones, (no volcanic activity has been seen, but the green stuff has). But l guess that looking at NASA images and newbie earth/mars ones, and Hubble, means that the atmosphere changes color constantly? Hopefully l am not the only one here that finds that insane. Different cameras "see" different parts of the spectrum, NASA uses a lot of false color, and different materials reflect light in different ways. Green olivine basalt was collected from the lunar surface. The moon looks pretty "grey" to me, but that doesn't mean better or different cameras will capture reflections in the same ways. If NASA is hiding things, then they're not doing a very good job. NASA has stated that the Martian sky would look blue if not for the dust. I'm guessing that the upper atmosphere has very little dust and that would make it appear blue. There are surface features on Mars that reflect in a variety of colors, red (Iron oxide) / blue (variety of things) / green (typically olivine, but could be organics as well) / yellow (Sulfur) / brown (shales) / black (meteorites, basalts, and other volcanic materials). It would be really cool if you're right, but I don't think we're going to find a lush tropical rainforest on Mars. It is important to understand that NASA is a government agency ostensibly under the control of the US intelligence. Bottom line is that NASA lies and has always lied, IMO. The strength of your conviction is that "if" NASA is hiding things, they are not doing a very good job". On the contrary, they are, and have been doing an excellent job of covering up realities. In fact a superb job in as much of "not being water tight". If they did, it would be suspicious. These are only measured "drops of reality" and is a very effective method. One needs to try and place oneself in the position of "Joe Dumb" an not an "intelligent person on a Mars forum". This is the massive segment of US society which has no clue, except for the patriotic following (most all) who would NEVER dream of actually questioning the almighty NASA. It just simply would not even cross their mind. IMO, if the World's government's (the important one's) came together under the auspice of a select few (in the US mainly) and wanted to show an entirely different Mars to the world public, trust me they could. The trick in its success, is repeatability of the cover story. Americans in particular, are extremely gullible. Not that they are more gullible than other nationalities but Americans are fed a continuous diet of "the American way" and as a result, are NOT interested in any other "ways" that could interfere with the payment of their 30 year mortgage. Cognitive Dissonance 101. The "Red Planet"....just as were the "Red Indians". NASA said that the sky would look blue, geesh, ok, let's break this down. All amateur astronomers looking at Mars, always see a blue haze and some green. Hubbles latest high res, images show No atmosphere around Mars. 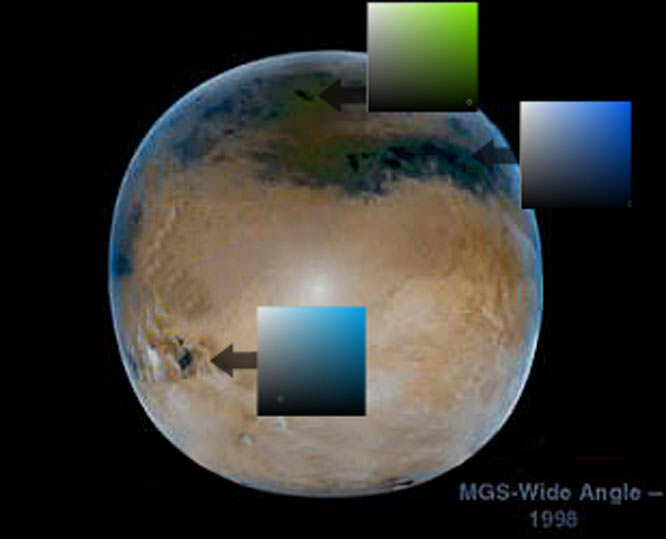 Hubble images from the 90's, show an obvious blue atmosphere and green patches, (and tracked mars weather for several years, with blue atmosphere every time). And the high res, Earth based telescope shown before, clearly shows green and the blue atmosphere. 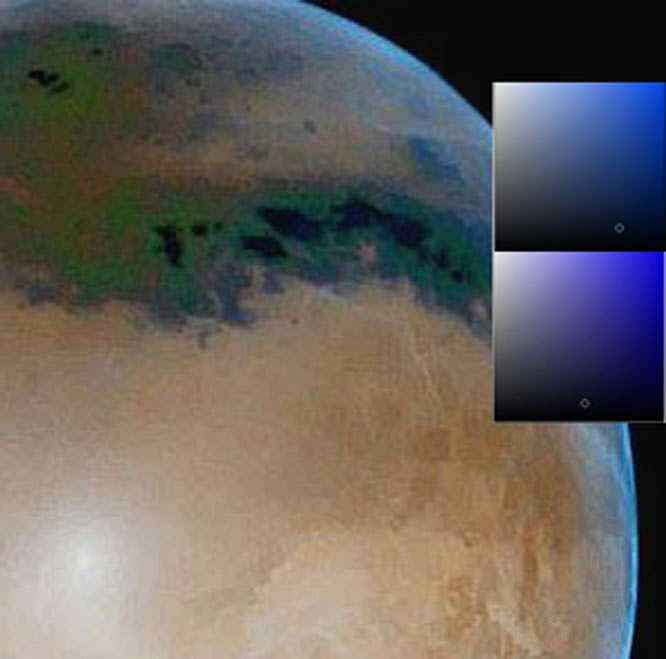 So it means Mars has a blue atmosphere, or overwhelming evidence, which means whether we like it or not NASA are lying. And as for plant life, the green stuff l keep finding is not iron oxide on the rocks, that is a distinctive yellow color, and since it is not that it has to be plant life. And the mounting evidence that the air pressure is BS. Impossible to have a water rich atmosphere and water droplets on metal in a near vacuum. Red in the higher atmosphere, nope, Hubble never see's any red higher up, and Spirit and Opp, rovers, with 20 years of images or 10 years each, driving up and down hills have Never given us one blue sky image. Curiosity did, after a short while. I am sorry but you really need to go over the links l provided before then reason it all out, that will show you what is real and what isn't. Yes Joe dumb and annoying so, hard evidence goes in one ear and out the other, and an obvious slipup by NASA, is reasoned away with some lame story. Dust devils clean Spirits solar panels, eventhough it should be so gutless it shouldn't clean anything, and NASA comes up with some crap about the dust devils on Mars have some electrostatic properties and that is what gives,...groan, others may buy this crap, but l won't. 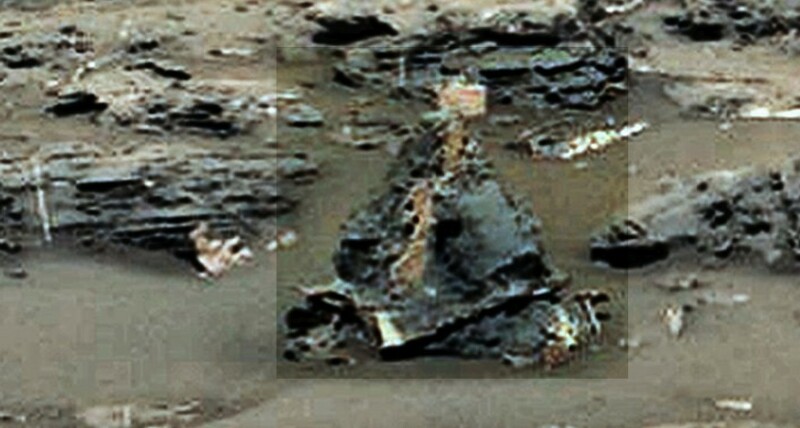 NASA knows the truth about Mars, and has done so since Viking, but since Mars is inhabited with an advanced culture they bury it, and since that statement is beyond most peoples comprehension or too fantastic to believe their see spot run cover story's don't need much polish. A 12 year old kid, with a $100 dollar telescope, can see exactly what the truth is, and that NASA are liars. I guess we'll find out for sure when we start sending people there. I try to stick with what is independently verifiable, but there aren't a lot of sources. Just getting missions to Mars successfully is like pulling teeth. I'm just happy that SpaceX is on the job since nobody else seems all that interested in sending people there to explore. If NASA is lying, to what end? How difficult do you think it would be to silence absolutely everyone all the time? The government couldn't even protect my personal information associated with my military service from being hacked. The notion that they could keep an enormous quantity of data, like images from Mars, from being hacked strains credulity. Considering the gag order on Buzz'es UFO encounter in the Apollo missions, l would say pretty good. Very few are going to say anything out of fear of losing their jobs or worse. As for how far, Mars being Earthlike is a certainly, having an advanced race and civilization on its surface, highly likely. NASA's big press announcement, now gives Mars a 50/50 chance of having microbes underground. Which is rather nice, since the idiots l have had to endure elsewhere, are now running about gibbering on about conspiracy's in general. One person in particular who has said that he wouldn't have an issue with learning that Mars is Earthlike, and is currently running about garbeging conspiracy's in general, (well, borderline insane is closer to the truth). I hate to say it, but some may actually go insane when NASA discloses the lot. Time will tell, and yeah, it also means that plant life on Mars is more 50% more likely, or as we know it is a fact. They seem to have been trying to break the life signs to the joe public slowly for possible religious reasons but thats for another location of discusion such as free chat. Pictures can be faked but the large scale images that rovers have generated would be even greater than the whole of nasa could pull off for that reason alone they are real. Could life have gotten to the fish level possibly as the images suggest but we would need to see more of such to confirm and not keep being deniers. We need to use a questioning mind to seek out the answers by what we can measure, test and observe when it comes to mars. The methane question seems to have been narrowed down a bit but more needs to be done to answer the question. True, NASA is realeasing this in a downplay as much as possible kind of way as not to spook the general population, but from what l have witnessed elsewhere, some who claim to be ok with it, are not. I expect that the ones that keep saying, "if NASA found a plant l won't go on a bender" are the ones that say one thing and act in another. But anyway it is up to them if they want to bury their heads, NASA is going to disclose more and more of this, (supporting what l and others have found) so in the end they will have to face up to it, especially when this is all leading to full disclosure. 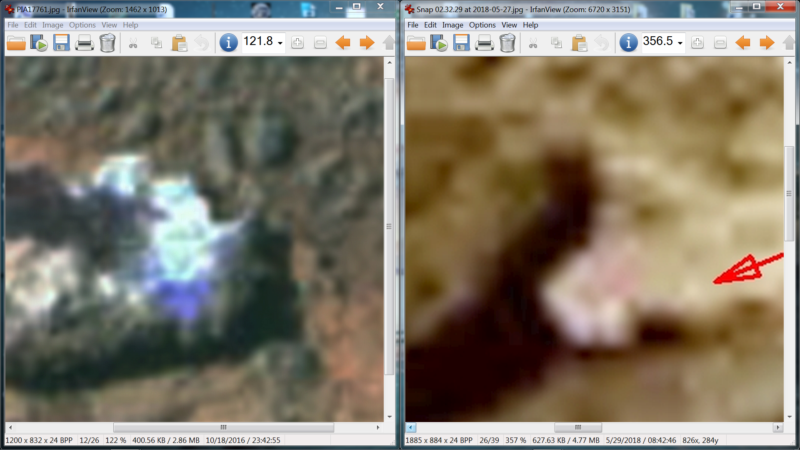 Yep, l believe that they are real, since NASA had a direct feed video camera on top of the Curiosity rover on decent, (l took screenshots of the decent in the other room at JPL, before NASA stripped it off all of their videos, (showing a blue sky l might add, not the b/w rubbish we got as first images). 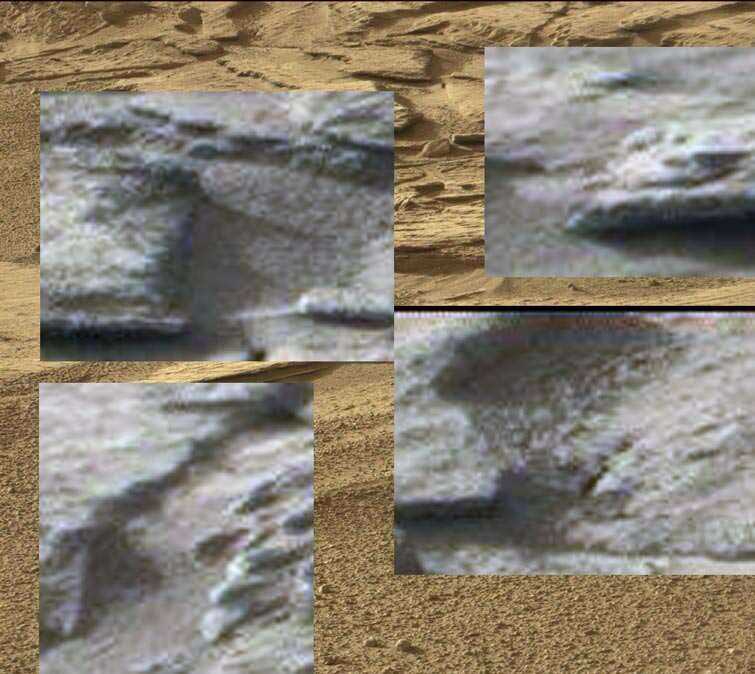 So the rover is actually there, but the images are Photoshopped at JPL, before we get them, so a martian bridge isn't blatantly obvious but is still obvious. Agreed we need to be open minded, and l remember finding a clam and a spider that the rover squished, (video, first post) so no doubt fish are there. Spotted this that looks like a maze, and color checked one, which is either a tree or hedge type plant. The rest also have similar colors. The oval shaped thing on the right appears to be another sign or building. And this curious rock, with green landscape, blue sky, clouds and what looks like some buildings and a tall smoke stack. 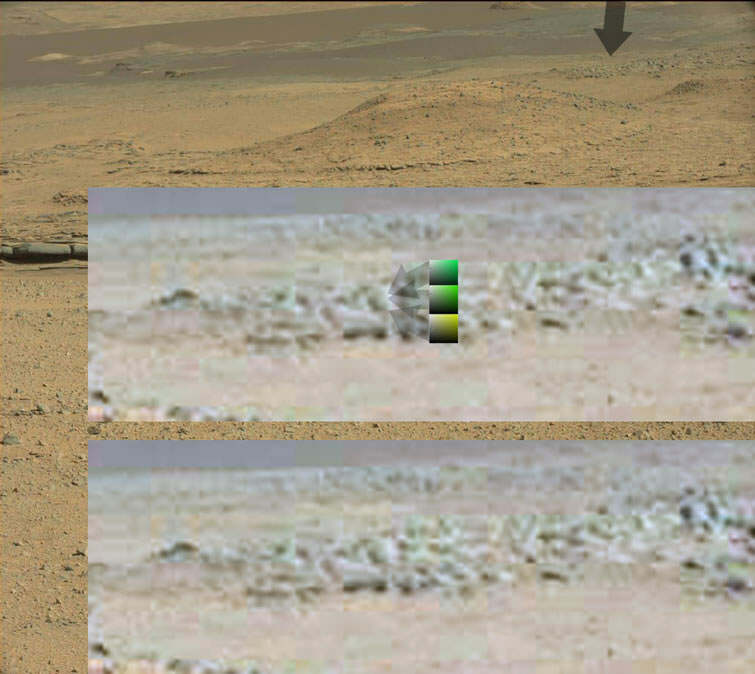 Some of the objects on the left, (arrow) are l believe, (color tool shows greens) tree's, which seem to resemble the type of tree's we have in desert areas. The rover has no architecture resembling this, so likely to be tree's of some kind.